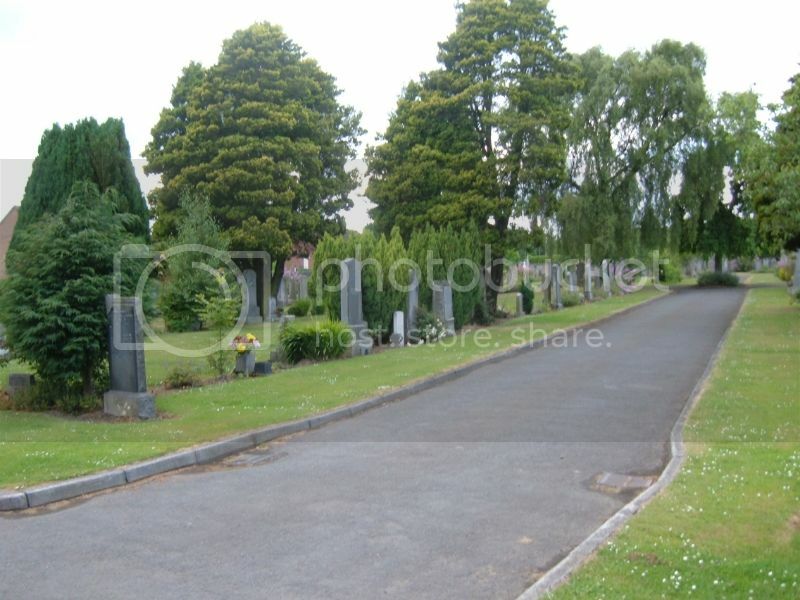 Uphall Cemetery sits between Uphall and Broxburn on A899. Look for traffic lights at crossroads. 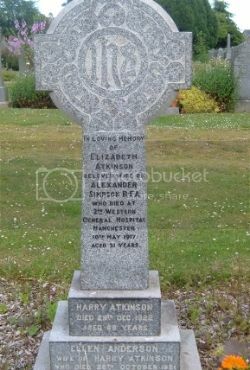 Mrs J Aitken, 61 Office Row, Uphall Station requested the headstone personal inscription. 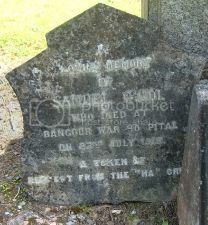 Son of Samuel and Marion Waddell Nicol, of Janefield Cottages, Broxburn, West Lothian. 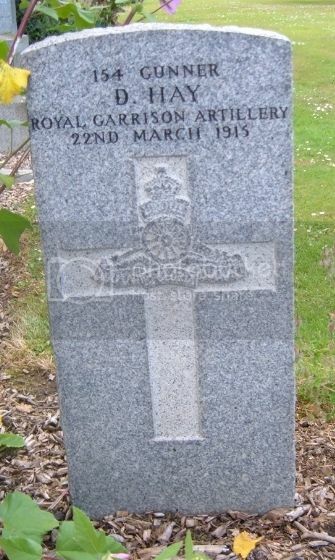 Regiment/Service: Royal Field Artillery, 6th Reserve Bde. Son of William and Margaret Sneddon, of Church St., Broxburn, West Lothian. 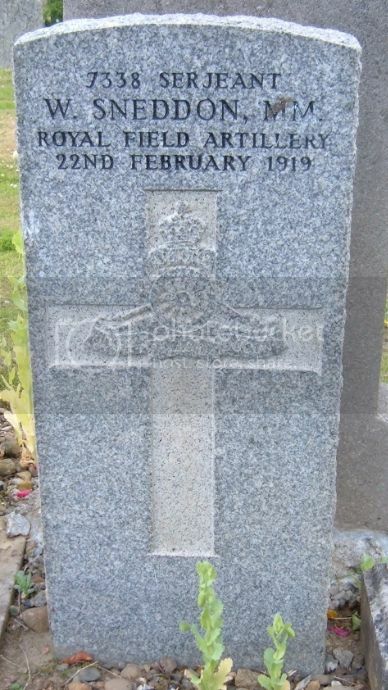 Regiment/Service: Royal Inniskilling Fusiliers, 7th/8th Bn. Son Of John Lundy, Stewartfield, Broxburn. 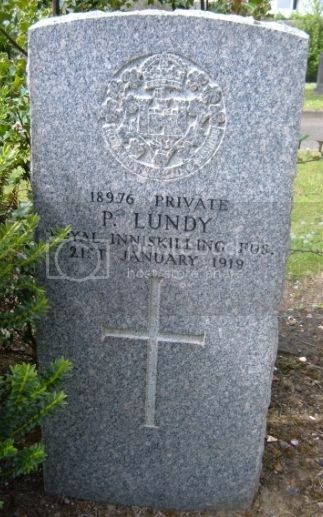 Burial record says Peter Lundy was an ex-prisoner of war. 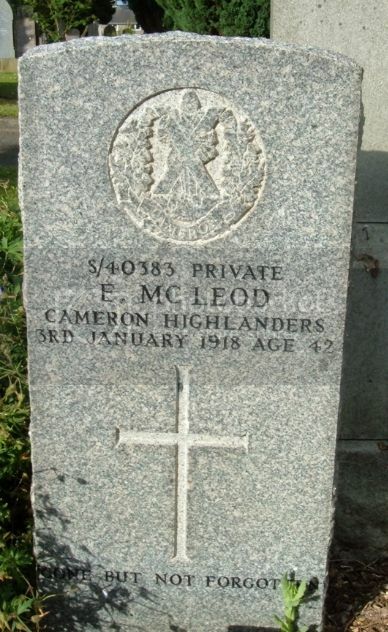 Regiment/Service: Cameron Highlanders, 4th Bn. 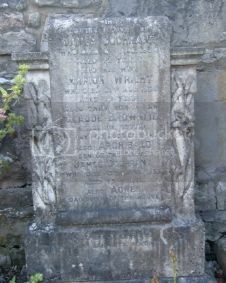 Husband of Mary McLeod, of Bank Cottages, Broxburn, West Lothian. Discharged, no longer physically fit for war, 20/02/1917. Regiment/Service: Seaforth Highlanders, "B" Coy. 8th Bn. Panel Reference: Panel 132 to 135 and 162A. Son of James and Elizabeth Lawrie, of 7, Goschen Place, Uphall, West Lothian. 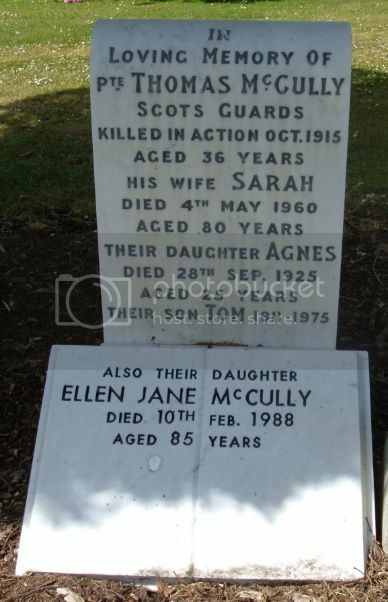 Son of John McNeill and Agnes Findlay. Regiment/Service: Cameron Highlanders, 7th Bn. Regiment/Service: Scots Guards, 2nd Bn. Panel Reference: Panel 8 and 9. 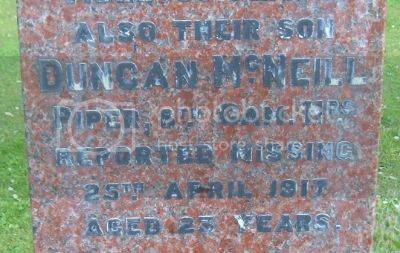 Son of William McCulley, of Kirkinriola, Co. Antrim; husband of Sarah McCulley, of 115, Greendykes Rd., Broxburn West Lothian. Uphall Cemetery, Section L, Lair 13. Not very legible. Son in law of James Cochrane and Marion Wright. Killed in action. 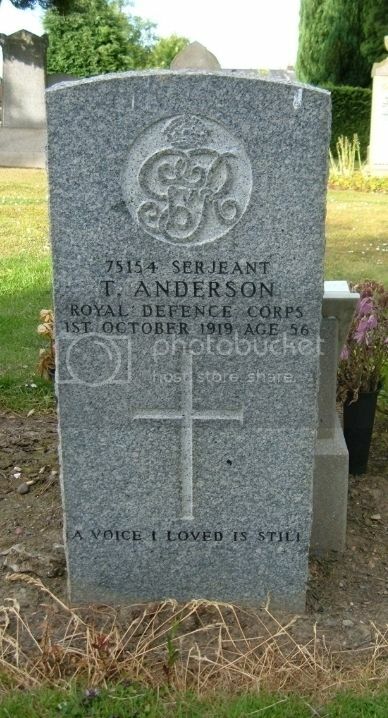 Also remembered on his wife's headstone. Regiment/Service: King's Own Scottish Borderers, 6th Bn. 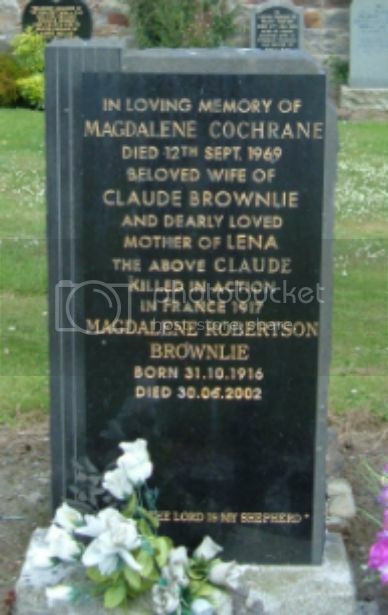 Son of Mr. and Mrs. Gavin Brownlie, of Kirkhill Rd., Broxburn, West Lothian; husband of Magdalene Brownlie, of Kirkview Cottages, Uphall, West Lothian. 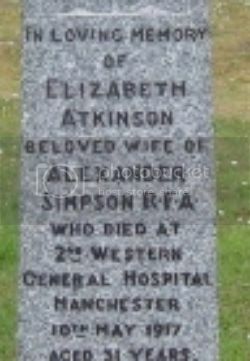 Elizabeth was the wife of Alexander Simpson, and daughter of Harry Atkinson and Ellen Anderson of Uphall Station. She died of heart and kidney failure. Regiment/Service: Royal Scots Fusiliers, 2nd Bn. Panel Reference: Pier and Face 3 C.
Additional Information: Son of Mrs. Mary H. Findlay, of 13, Greendykes Rd., Broxburn, Linlithgow. 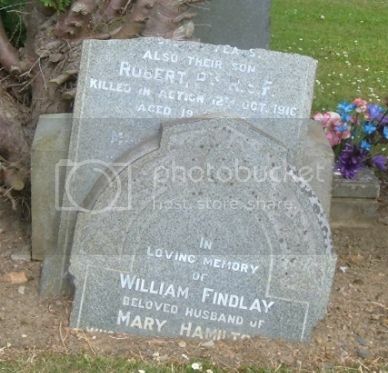 Robert was a bandsman with Broxburn Public Band and joined the 2/4th Royal Scots Band on enlisting. Regiment/Service: Royal Scots, 9th Bn. 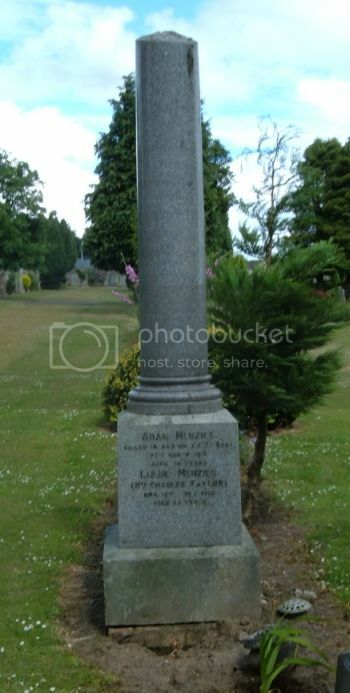 Son of William and Agnes McKee, of Broxburn; husband of Lillias Crawford McKee, of I, Clutha Place, Uddingston, Glasgow. 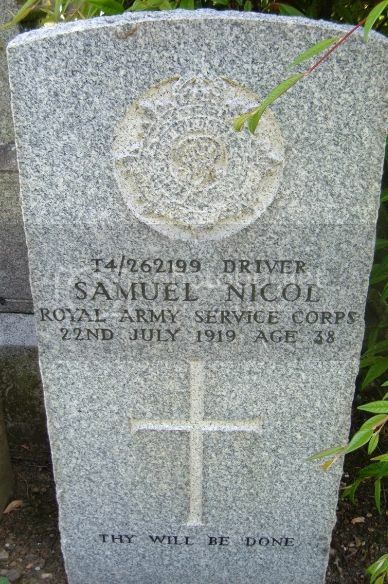 William McKee was released from the Army in November 1917 to resume his occupation as a shale miner. He died as a result of a mining accident. Regiment/Service: Northumberland Fusiliers, 1st Bn. Grave Reference: V. F. 18. 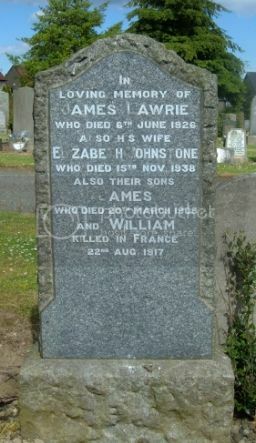 Only son of Adam and Belle McKinnon Menzies, of Blackford Cottages, Melbourne Rd., Broxburn, Linlithgowshire.